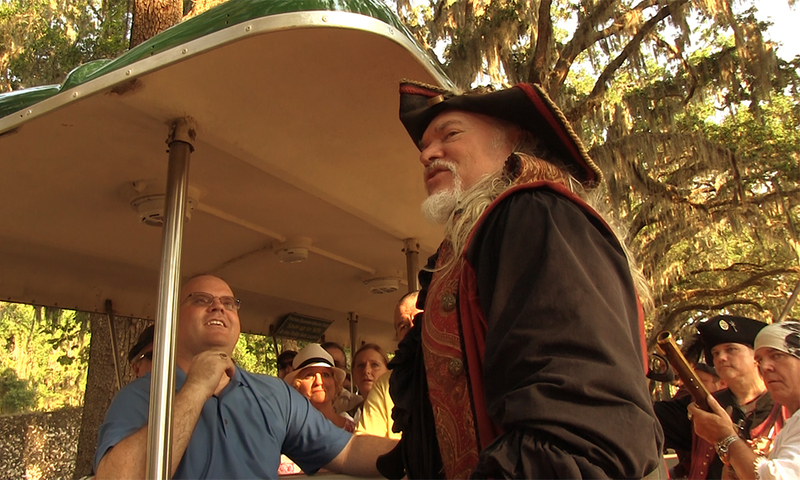 The Pirate Melee is a new tour experience in St. Augustine, combining a private trolley tour with some pirate mayhem and a full evening of food, drink and merriment. The tour is available daily for group bookings of 25 to 200. 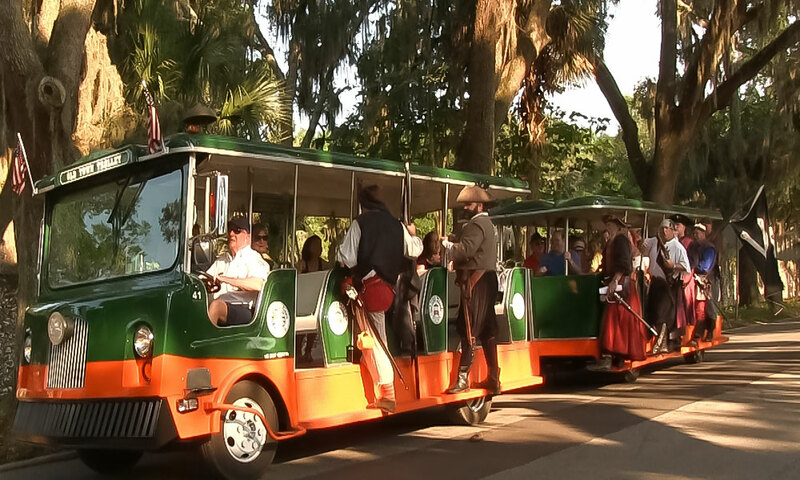 The 45-minute trolley tour departs at 5:00 p.m. 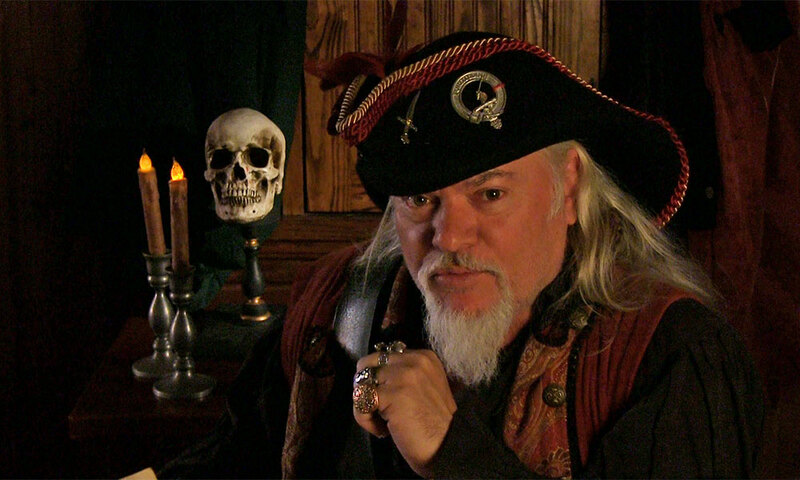 Following the tour, some friendly pirates come along, kidnap the guests, and whisk them away to one of St. Augustine’s charming outdoor venues for dinner, drinks, live music and pirate entertainment, including the magic and humor of Commodore Mayhem. The venues are weather-protected, and the dinner and entertainment portion of the tour lasts one-and-a-half to two hours. 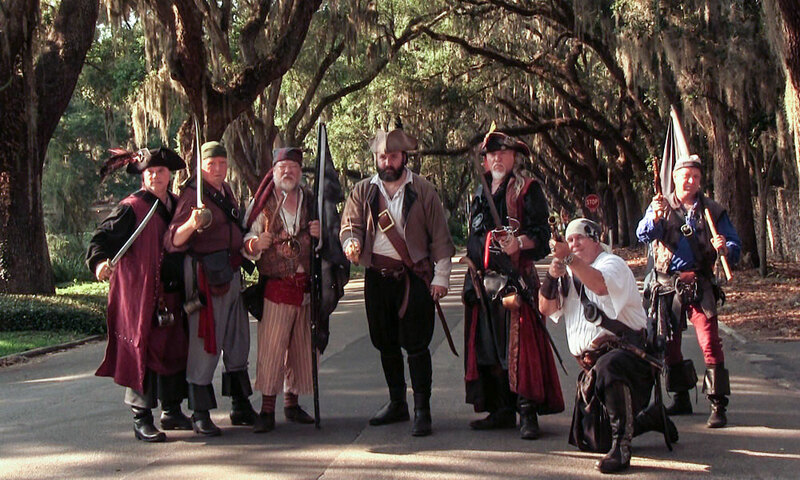 The Pirate Melee tour leaves from the Visitor Information Center at 10 W. Castillo Drive, right next to the City Parking Garage. 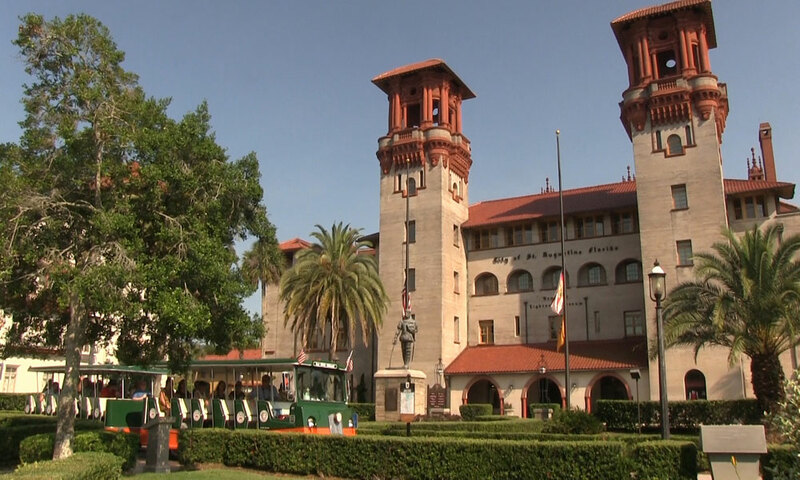 Arrangements can be made for the tour to begin at most hotels in the city of St. Augustine. 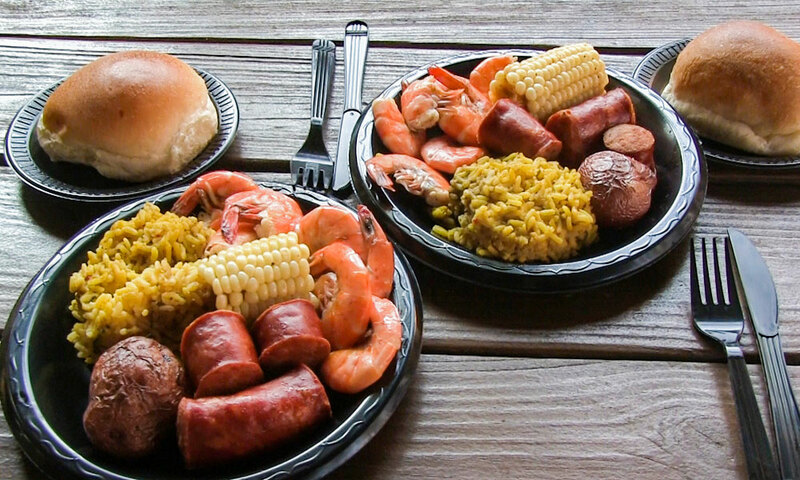 This is a great option for corporate outings, weddings, class trips, and reunions. Call (800) 217-0389 or visit here for details on pricing and to make arrangements for a night of high spirits and pirate fun in the nation’s oldest city. Be the first to Review Pirate Melee: Tour, Dinner & Show! Call for prices and to book a group tour.